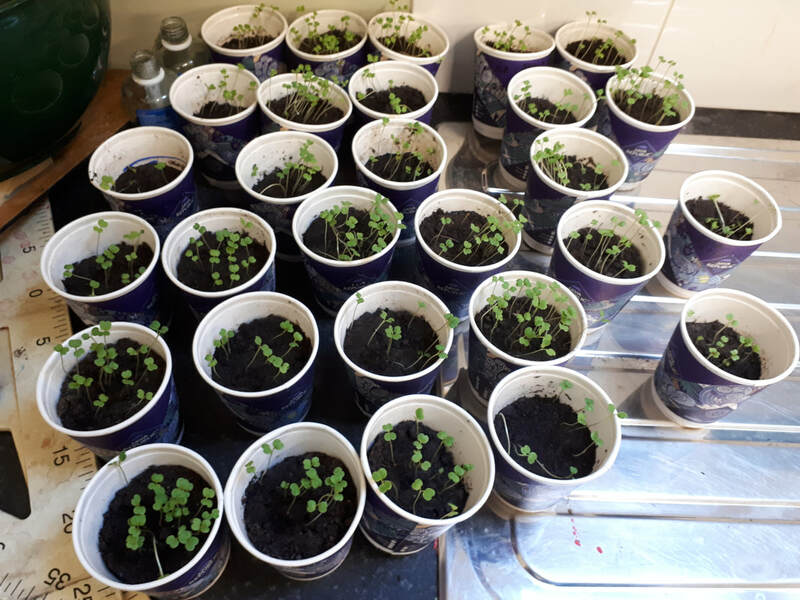 The pupils in 5th and 6th Class conducted an experiment to explore the ideal conditions for plant growth using cress seeds. We grew our seeds on cotton wool in ziplock bags. The variables they changed were light, heat and water. We found that these three conditions are required for healthy plant growth. The pupils concluded that damp, warm conditions are ideal for mould growth. ​Eco Art in 3rd and 4th! We had a Green- Schools Eco Art Workshop in February based on the theme "Ocean Plastics" - we learned about the effects of single use plastics and had an in depth discussion about waste, recycling and composting. We also created our own art installation for the school to raise awareness of the issue. We created sea turtles using coffee cups. ​1st and 2nd class on a Spring Scavenger Hunt! We took a little break from the classroom last Friday to get outside and make the most of the fabulous weather. The class worked in groups to complete a scavenger hunt. We founds lots of different flowers, trees, soils, twigs and rocks. As well as this, we discovered plenty of wonderful little creepy crawlies who've made their home around the school grounds and sensory garden. Walk on Wednesday at Edmondstown NS! Our school's Green-Schools team has made huge efforts to encourage us to walk to school as often as possible. 'Walk on Wednesday' is a regular part of our school's calendar. Every week, the Green-Schools teams polls each class to find who had the highest percentage of pupils walking to school! This also allows us the opportunity to apply our Maths knowledge about percentages and data! This week, 5th and 6th Class have begun our learning about renewable and non-renewable energy sources. We will be working on group projects to teach each other about different clean (and not-so-clean!) energy sources. Watch this space for more photos in the weeks ahead! ​Infants go on a nature hunt! As part of the Living Things strand of the Science curriculum, the pupils of Ms. Wallnutt's Infant class went on a nature hunt with their 5th & 6th Class buddies. The pupils observed a variety of plant and animal life in the school environment. They also collected leaves to make some lovely leaf rubbings in class afterwards! On Friday, the boys and girls of 5th & 6th Class explored electricity by creating simple circuits. The pupils experimented using switches, lights, speakers and motors. Each class in the school learned more about space as we celebrated Space Week. In Infants, the pupils created fantastic rocket-themed artwork. In 1st & 2nd, the pupils made amazing balloon-powered rockets! In 3rd & 4th, pupils worked in groups to create exciting projects based about life and fashion in space. In 5th & 6th, the pupils learned about the planets of the solar system and their relative sizes. ​5th & 6th: Rockets blast off! Working in small groups, the pupils designed and built their own rockets. Each rocket had a unique theme and design - very exciting! We learned about the reaction between vinegar and baking soda and put this to use to fuel our own rockets! Each class in the school got to engage with more hands-on science as part of Science Week 2018! 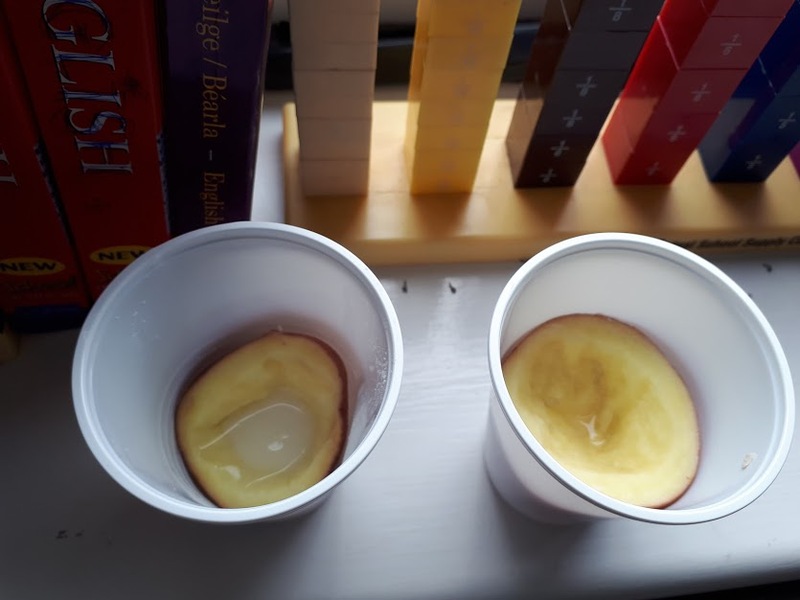 5th & 6th investigate the effect of salt on potatoes! We conducted two experiments using potatoes. 1: We explored the role of a potato's skin in keeping its moisture. We observed the change in a peeled potato versus an unpeeled potato over several hours. The peeled potato dried out. 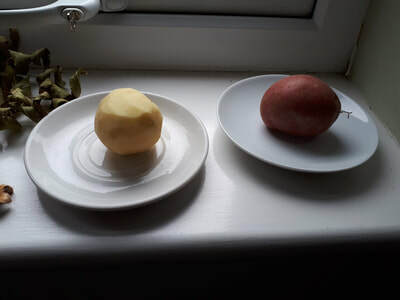 2: We cut a potato in half and hollowed out both halves with a spoon. Salt was added to one half but not the other. We observed that the salt drew out the water from the potato's cells. The other potato (our control condition) remained unchanged.